How significant was the Clarrie O’Shea Case? Address by M.E. Heagney to the Sydney Branch of the Australian Society of Labour History – 27.8.1984. To understand the significance of the O’Shea Case nnd to place it into perspective, it is necessary to examine the history of the sanction or enforcement provisions in the Conciliation and Arbitration Act and, as well, look at some significant events which reached a climax in 1967-68. Ever since the formation of 1904 of the compulsory arbitration system, the Act has contained penalties: the original Act banned lock outs and strikes and provided penalties up to £1000 on union and companies and £10 on individuals. Onus of proof was on the party charged. In 1930 the Scullin Labor Government removed most Of the “teeth” in the Act and cut back the penalties. In 1947 the Chifley Labor Government passed legislation which made the Conciliation and Arbitration Court a “superior court of record” thus enabling the Court to penalise unions for “award breaches” which could lead to unions being found to be in contempt of Court and fined. This legislation was introduced mainly to enable the Court to deal with the coal strikes of that time. In 1957, in what is now commonly termed the “Boilermakers’ Case” the High Court ruled (and the Privy Council in England upheld) that the Court as it was then set up, could not make an award and also enforce it and also fine anyone for breach of it. Following on from this judgment, the Government made further amendments to the Act by establishing the Australian Conciliation and Arbitration commission to deal with the conciliation and arbitration functions and an Industrial Court to deal with the judicial side of the system, such as sanctions and enforcement provisions of the Act as well as award interpretation, etc. In 1953, the Arbitration Court abolished the automatic quarterly adjustments of the basic wage and made itself the sole arbiter of what increase would be in it. (The decision was based on “fear of inflation”). In the basic wage inquiry of 1956 the Arbitration Court laid down that in future there would be an annual review of the basic wage on the application of either the unions or the employers. In 1966 the total wage was introduced; an attempt by the employers to ensure that wages as a total figure were dealt with at the one time rather than having the basic wage and secondary wage dealt with at different times. This concept was opposed by the unions. What, if any, alteration of marginal rates are presented under Part 1 of the award or additional marginal rates are justified upon the grounds of work value, the economic considerations which have been presented to the bench, or forany other reason. A step not supported by either the employers or union. On May 15, 1969, Clarrie O’Shea was gaoled by Mr. Justice Kerr for failing to comply with an order of the Court to produce certain documents, thus committing ‘Contempt of Court’. With the exceptions of the latter case each of these events were destined in the future to come together collectively to create strikes in the metal industry that had no equal in the past or for that matter, to this day, nor did the strikes arising out of the O’Shea Case equal in intensity the strikes of the 1967-68 in the metal trades. These were the end of Penal Provisions. It is, of course, not possible to go into great detail with each of the events but I will deal with each to the extent necessary to be, I hope, understood. Firstly, the Boilermakers’ Case, the establishment of a judicial court, namely the Industrial Court, vested with the powers of enforcement, this effectively took out of the hands of the industrial practitioners the opportunity of settling disputes which may arise out of awards or orders that they made. The only role vested in the Industrial Court was to determine if an organisation was or was not in breach of an award or order and this worked in the main to the advantage of the employer organisation. Once a bans and limitation clause had been inserted into an award the way was then open to the employer to move to the use of Section 109 of the Act without reference to the arbitral section of the Commission at all. (d) such period has elapsed, no organisation (whether of employers or employees) party to this award shall in any way, whether directly or indirectly, be a party to or concerned in such ban, limitation or restriction. (ii) An organisation shall be deemed to commit a new and separate breach of this sub-clause on each and every day in which it is directly or indirectly a party to such ban, limitation or restriction. Section 109 proceeding empowered the Court to make absolute an “order nisi” which order was granted by a judge in “chambers”. Parties could contest the making abso1ute of the order on grounds relating to the actual situation existing at the time, .namely, were these bans being imposed. Was there a strike? If so, what action was being taken to resolve this area of the dispute? what issue caused the ban, strike, or limitation, could not be dealt with so in 99% of cases coming before the Industrial Court, the orders were made absolute generally with a life of six months. The jurisdiction of the Court to punish a contempt ~f the Court committed in the face or hearing of the Court, when constituted by a single judge, may be exercised by that judge. The Court has power to punish, as a contempt of the Court, an act or omission although a penalty is provided in respect of that act or omission under some other provision of this Act or under some other Act. (c) In any other case – one hundred dollars. The only test in these proceedings was, is work proceeding normally or had the order been complied with? Award wages up until the abolition of quarterly cost ol living adjustment in 1953 were generally both the maximum and minimum. “The awards provided for a two tier system, a needs basic wage and a margin for skill”. The basic wage section being adjusted quarterly to reflect movement in the “consumer price index” (C series) “lid amount paid by way of margin were adjusted from time to time. This decision shocked the trade union movement and created a wage of resentment which to this day continues and is (a story in its own right) . This above all other decisions changed the direction Of waqe fixation in this country as well as a new development of wages policy by the union which included 11lntC’t negotiation with employers for what is now termed “over award” payments. The Arbitration Court had virtually by its own making lost control of the wages and incomes policy of the country and by 1967 there were some 6,500 companies paying some form of over award payment which in money terms in 1967 represented about 20% of the total wages earned per employee which demonstrates both the importance and the extent that these payments represented to the worker. This new concept of wage activity required unions to retructure their internal working procedures. For example, by changing the role of the organiser and delegates to cope with quarterly, half yearly or yearly agreements reached between individual employers and unions. Shop committees increased both in number and power to meet the changes. The introduction of the total wage in 1966 was seen by the unions as another step against its continued struggle for the restoration of C.O.L. adjustments and this was a further reason to continue its struggle for over award payments. Apart from some special classifications, the remaining classificaiton of some 300 odd received $1.0 The highest classification “duster” getting 0.20c. On this aspect I would adhere to the amounts which I have in mind. However I wish to make it clear to the unions and to employees themselves that so far as this Commission is concerned there is nothing in principle to prevent an employer from using existing over-award payments to offset the increases whether in whole or in part. The inexorable logic of the unions’ submission in this regard is that if, in general or in any particular, the decision of the full bench is that wages be increased to or above the current level of over-award payments, then direct measures of I the value of the work being performed is exceeded. If the current level of over-award payments be held to express the real value of the work being performed then the level of such payments should be diminished by the amount awarded hereby. “Consequently, by the unions’own submission, there 8hould be complete or partial absorption of the current over-award payments in the increases now awarded by the Commission. While employers are free to act as they wish concerning the amounts of wages they may desire to pay over and above the minimum set by this Commission, it should be made clear that they are under no compulsion to retain over-award payments at their current levels. Certainly it would not be expected that any nmployee’s take-home pay be reduced. “Perhaps attention should be drawn to the Private Employers’ Submission that over-ward payments showed capacity to pay what was being paid and no more. Since it is the intention of the Commission that employers may generally apply over-award payments against the increases awarded, these are not designed to strain capacity to pay . Although the Commission will not, and indeed cannot, prevent employees making such over-award payments as they may desire, it is clearly their responsibility if, as a result of failure to apply over-award payments, at least partially, against increases, capacity to pay is thereby strained. The increases which had been granted to the tradesman classifications were the highest increases ever awarded by the Commission but when measured against the level of over- award payments, and the right expressed by the Commission for the absorption meant that there would be very few companies paying increases. The Comission as well as some employers had always resented the extent of the over-award system of payment which was developed by the trade union movement (particularly the metal unions) and this decision was seen as an attempt, or the first step by the Commission to make their awards both maximum and minimum. On December 18, the M.T.I.A. said that it was its duty and the duty of its members to give full effect to the decision of the commission and instructed its members to offset the increases by a reduction in the over-award payments being absorbed and it is important to keep in mind the dates of the events which were I involved. It was the Christmas close down period and; over this time employers determined their attitude and on January 17, 1968, the following notice appeared on the notice board of A.E.I. engineering. To all employees of A.E.1. Engineering Pty. Limited : “In view of the decision of the Commonwealth Conciliation and Arbitration Commission announced on the 11th December, 1967, to alter rates of pay of the Metal Trades Award there will be a change in the conditions of employment of the employees of A.E.I. Engineering Pty. Ltd. “You are hereby advised that your current conditions of employment will terminate at the expiration of the last pay period prior to the commencement of the first pay period commencing on or after 22nd January, 1968. “Details of new conditions of employment will be discussed with employees or their representative at a later date. Other companies adopted other methods of advising their employees about their policy to absorb. Each event which I have mentioned played a significant role in developing the hardening of the attitude of the trade union movement to the sanction provisions of the Arbitration Act and each and every decision had an impact in some form or another on both the role of the trade union movement and its internal policies and structure. The unions were shocked by the Commission’s attempt to force employers to absorb the amounts granted by them in over award-payments and also the employers approach and attitude to this suggestion. The unions clearly saw this as an attempt by some members of the commission to attempt to regain control of the wage fixing system which it had failed to grapple with nince the cancellation of C.O.L. adjustments in 1953 And further its failure to recognise as “legal” over-award payments. An examination of the decision in the work value inquiry shows that the absorption of the increases to thq great majority of workers involved was only $1.00 And was really of no great moment, but the union saw this as a threat against its campaign which had continued since 1953 for a form of wage indexation to compensate for price movements, the Court had abandoned this, the unions had not forgotten or forgiven and while the Court and the Commission had come up with alternatives, none of these were acceptable to the trade union movement as they failed to recognise the principle of automatic adjustment of the wages in accordance with price movements. I The unions took the view that on their own initiative they had by their campaign for the over-award system successfully achieved some form of wage equity and further that the overall rates that were achieved by he unions in the metal industry were commencing to set the standard for overall wage levels. This created unity within the metal unions to fight absorption and to protect their right for direct negotiations. Some members of the Commission, particularly His Honour Mr. Justice Moore were aware of the union view which drew this comment from him in the 1966 National Wage Case: “It would be sheer naivety for the Commission to suppose that any substantial portion of present over award payments will be absorbed into any increase which the Commission may be disposed to grant. “Yet the majority decision attempted this.” The 1967 majority decision was the commencement of the end of penal sanctions. The unions reacted angrily and unitedly against attempts by the employer organisations to absorb these increases and put in motion an industrial campaign which, as I said earlier, has never been paralleled before or since in the metal industry. The first stoppage took place on the 11th of January 1968, the final day of the return to work after holidays, by the end of the campaign all up there were some 400 stoppages and in addition there was a 24 hour national stoppage endorsed by the A.C.T.U. as well as a 4 hour stoppage. On one day alone in Sydney there were 7,000 employees in 100 factories on strike. 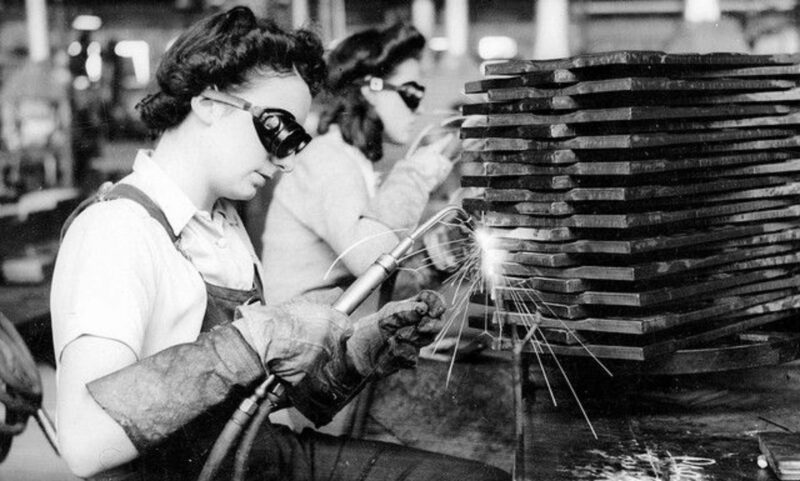 On 6th of February 180,000 metal workers stopped in five states. The employer organisations quickly took a number of stoppages into the industrial court for Section 109 restraining orders, then for Section III contempt charges when the stoppages continued. On the 21st of February the Court dealt with 107 contempt charges agains 6 unions imposing fines on unions totalling $17,050 dollars. (Some fines were only $100-$200. On another day I recall when a large number of contempt charges came before the Court in Canberra, Justice Joskie heading up the bench determined that at $100 per charge they would adjourn all other charges. When the organisation was up for $1,000 the employers’ lawyer even objected to this.) Legal costs were always granted to the appellant if a union was fined. These would be equal to or in excess of the penalties. On the 6th of February Mr. Justice Kirby, the President of the commission, heard submissions from the parties involved in the strike, however he made no comment either about the national stoppage of that day, but determined to constitute a full bench to deal with the matter . The bench constituted was Mr. Justice Kirby, Judges Gallagher and Moore, Senior commissioner Taylor and Commissioner Winter and a hearing was set down for the 14th of February. On the 7th of February the M.T.E.A. applied to the Industrial Court for a “blanket order” against 7 metal unions to cover all the factories in N.S.W. On 12th of February the S.A. Metal Industry Association applied for and was successful in having included in their section of the award a blanket order. On the 21st of February 1968 the President, together with Justice and Senior Commissioner Taylor and Commissioner Winter handed down the second decision arising out of the work value enquiry and phased it in two parts. Justice Gallagher disagreed and also Commissioner Winter felt that the decision to absorb was an appropriate step for the Commission to take having regard to the nature of the enquiry that was undertaken by them at that time. I draw attention to the date, on the 21st of February second decision was handed down. On the 21st of February in the same building on the same level the Industrial Court had before it 107 contempt charges to deal with. These were the ones I referred to earlieron. On that day during the proceedings before the Industrial Court they were made aware of the changed decision made by the reconstituted bench but in spite of this they continued to deal with the contempt proceedings that were before them and to fine unions for the contempt that they had committed. I indicated earlier on that up until 1967 the unions had tolerrated the provisions, however there were from time to time rumblings about their use and indeed the more prevalent that use that was being made by the employers’ organisations following the Boilermakers’ decision and the attitude of the Industrial Court towards its role in this area. At times it could be said that these provisions when disputes occur did involve national secretaries of organisations when proceedings were notified under Section 109, and did get them motivated in the issues that were involved in the dispute and did assist in having disputes settled earlier – and I suppose an example of the attitude of Labor leaders could be take from the statement made by Charlie Oliver who was Stat President of the N.S.W. Labor Party in 1962, and also State Secretary of the A.W.U., wherein he said: “We know the benefits that have come to this Union from the arbitration system. We could not do without it. Take away the penal clauses: and you destroy the system.” ; It of course could be argued that up until that time the extent to which the clauses could be used and manipulated had not been experienced, and whilst it mo have been felt that the sanctions were necessary to protect both employer and employee, the 1967 experience and 1968 clearly demonstrated to the trade union movement that the type of provisions that were contained in the Act were just ‘not on’ and the unions met, mainly throughI the Metal Trades Federation and for the first time in history the M.T.F. gained support from the Australian Council of Trade Unions, they determined that they would not pay the fines arising out of the absorption issue and took precisely that action. Now, if I could quickly summarise the events that I have referred to, that if the Commission had not abandoned the quarterly cost of living adjustments in 1953, the decision in relation to absorption would not have occurred. Secondly, that if there had have been more thought given by the Government following the boilermakers’ decision wherein the powers were taken out of the commission about enforcements and placed in, a separate body, the Industrial Court, the type of I proceedings that occurred during the absorption issue again could have been avoided. For example, if the power of enforcement had have resided still with the commission, the events that took place following the announcement by the President of the Commission on the 6th February would not have taken place, and they would have taken over the dispute and looked at the industrial relations ramifications rather than measuring the extent of contempts that were being committed by the unions following from a decision that had been made by the Commission that was not acceptable to the trade union movement, was not wanted by the employer organisations, but was foisted on them. The later decision and the wiser counsel of the President prevailed and demonstrated that there had been a wrong committed to the organisations, but be that as it may, there was no redress in law for the unions to take other than to refuse to pay, and for the first time, to become aware of the realities and the extent of the impact of the then existing sanction provisions. This in my view, was the end of them. The penal sanctions, in my mind, did not fail therefore because of their inherent defects. They failed because they were over-done. The granting of injunctions, a discretionary step which should have only been taken in a rare situation presenting special features, came to be a matter of course. The complete discrediting of the penal sanctions was really accomplished therefore by the employers and the Industrial Court and the latter tribunal in its attitude to injunctions must undoubtedly shoulder a very large portion of the blame. The issue of revival of the sanctions therefore seems to me to be a dead one. I do not necessarily lay blame at the employers about The sanction provisions and their attitude during the period of the absorption case. It could be said that legally the M.T.I.A. above all other employer organisations acted responsibly in that they used the provisions available to them, but in doing so they were disregarding the industrial relations impact that this woul.d have. However the relations between M.T.I.A. and the Metal Unions steadily improved. All of these factors were part and parcel of what the union had been able to achieve by a series of errors, not of their own making but of the making of the Commission on the one hand, and on the other hand the employers in their bargaining for labour to meet their requirements. You have, as I have said, deliberately defied the Court. You have refused to be orally examined and you have refused to produce the books which I previously directed you to produce, and I ordered you to do so in this Court. In those circumstances, Clarence Lyle O’Shea, I have no alternative but to order you to be committed to prison, there to be detained until you shall make, to the satisfaction of the Court proper answers on your oral examination, or until the Court should otherwise order. The gaoling of Clarrie O’Shea did lead to widespread industrial conflict, however, there was not total unity amongst the trade unions for support of Clarrie O’Shea I think the gaoling of O’Shea did indicate another dimension that could flow from the sanction provision of the Court. I do think it also demonstrated again, the failure of Government following the Boilermakers’ Case to properly put in place an Act that was related to the industrial realities of situations, rather than the legality of the application of proceedings under sections 109, 111 and the subsequent collecting of fines. What followed in the O’Shea Case of course, was days some six daysafter he was gaoled, even though attempts had been made by deputations to Government to the Prime Minister level and attempts by the A.C.T.U. to have thecase reviewed, all of this failed, but out the blue came one Mr. Dudley Macdougal and paid $8,600- being the amount owed by the Tramway Union, and the $500 fine which had personally been imposed on Clarrie O’Shea. I wish to make it clear, as I am sure by now it must be clear that it was a deliberate refusal to obey my order which was the sole reason for t10mmi tting Clarence Lyle 0’Shea to prison for contempt of Court, committed in a face of Court. The fact that his union had not paid fines which had been imposed upon it under Section 111 of the Act, had nothing whatever to do with his committal. The law does not permit officers of Unionsons to be imprisoned because their organisations have not paid fines imposed on organisations under Section 111 of the Act for breach of orders, made undor Section 109 of the Act. So therein lies the difference of course between the approach of the metal unions who refused to pay fines whilst they were not summonsed before the Court to show reasons as to whether they could or could not pay their fines, as was Clarrie 0’Shea. It was the view of some that he should have made his books available, and as to whether or not the funds were available to pay the outstanding amounts, was another issue and could have been dealt with in another way. However, Clarrie O’Shea in carrying out the decision of his organisation, did play a part in highlighting the weaknesses of the penal provisions, but the whole credit cannot go to this case. It has got to be looked at, as I said earlier, in its total context. The metal unions in their struggles of the absorption case were the forerunners in what has now become the discredited sanction provisions of the Act. In Kirby’s view the argument for penalties, which was logical, they applied to employers also for breaching awards, workers only in theory. In practice he believed, the penal powers caused more trouble than they were worth. “Whenever Governments asked my view I strongly advised against penal powers.” He says as long as employers were discriminating in recourse to penalties it didn’t matter too much one way or the other, if the powers were there, though from an industrial relations viewpoint it was more desirable that they were not there. It was the employers’ widespread recourse to sanctions that had made the absorption battle such a potentially inflammable issue for the future. But it ended in 1968. Mr. Ted Heagney is the National Director of T.U.T.A. and is a former official of the A.R.U. and the F.I.A.